A CSS workaround for the theme's default list styles. The color of bullet points is controlled by the typography styles in the theme's CSS. While a font's color can be changed in the text editor, that color isn't always applied to the bullet points. Here's how you can change that using a CSS class. For this example, let's say we want to have white bullet points. Select the Text element containing the list. 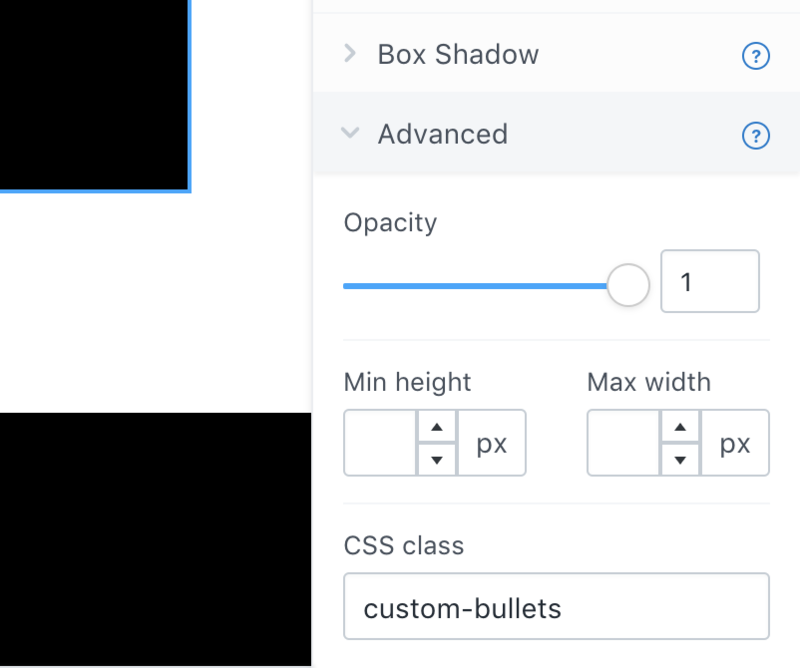 In its Advanced style options, add any name into the CSS Class field. Here we'll use "custom-bullets" as our class name.